You can celebrate the Christmas season and your love of the street poetry of the Notorious BIG with one handy mixtape. 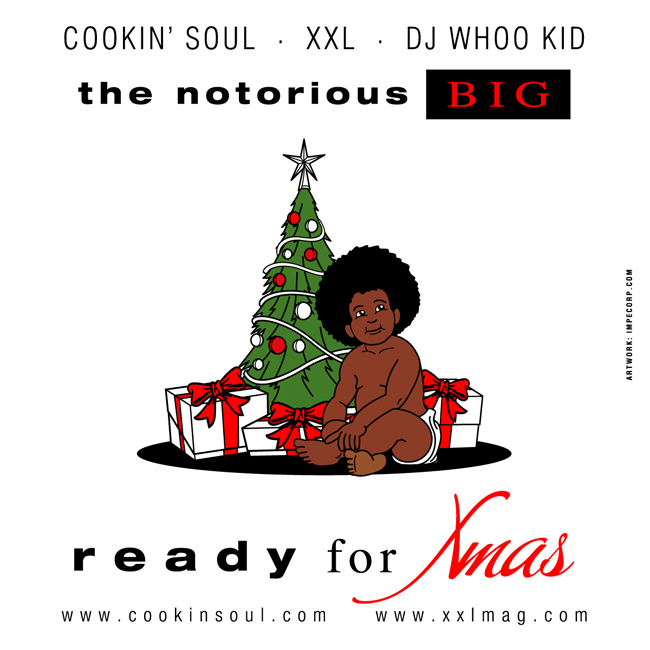 Spain’s hip hop super-producers Cookin Soul (Mac Miller, Curren$y) and mixtape king DJ Whoo Kid have teamed up to present Ready for Xmas. The mixtape blends classic acapellas from the Notorious B.I.G. with some Xmas-inspired instrumentals, sampling classics such as Home Alone and This Xmas by Donnie Hathaway. Stick that in your stocking.